Safety while Shooting is vital. Having the right gear for your eyes and ears is critical. There are lots of hazardous sounds on the range, from both your firearm and ammo, and from the activities of others around you. Because of this having the right ear protection is critical; and the more you shoot the more critical it is. The criteria that we use to evaluate ear muffs are: 1) Hazardous Noise Reduction Rating - NRR, 2) comfort, 3) adjustability, 4) ambient sound tolerance, 5) price. 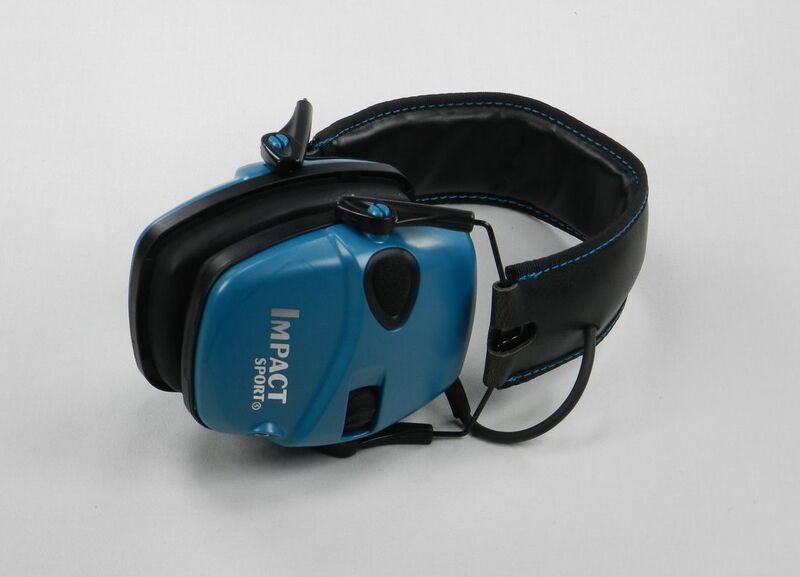 To protect our ears we use the Howard Leight Impact Sport Electronic Ear Muff. These ear muffs have an NRR of 22dB for all sounds above 82dB in volume, while simultaneously using built-in directional microphones to amplify range commands and other ambient sounds that are less than 82dB up to 3x. The muffs have low profile earcups for avoiding gunstocks, an adjustable headband for a secure fit, a compact folding design for convenient storage and an automatic shut-off feature after 4 hours. It also has a mini-jack input to let you plug in and monitor AM/FM/FRS/GMRS radios or iPod/iPhone devices (we have never used this feature – but it's there). The muffs weigh 10.5 oz. We like these ear muffs because they cancel out the hazardous noises while still allowing you to actually be able to hear what is going on at the range and to talk to you friends without taking off your ears. You can buy these ear muffs at Amazon. When we are in a really loud shooting environment, like a busy day at an indoor range, we often “double-up” on our hearing protection by wearing ear plugs under our ear muffs. Of course this decreases our ability to hear range commands and conversations, but it helps where it is the most important – protecting our ears. The criteria that we use to evaluate ear plugs are: 1) noise reduction, 2) conformity with our ear and 3) comfort. 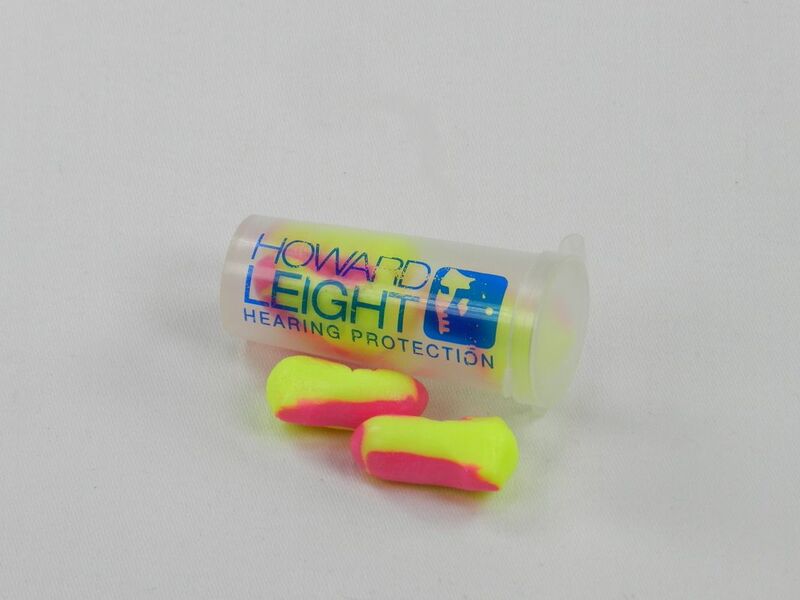 As a complement to our ear muffs we use uncorded Howard Leight Laser Lite Earplugs. They are made of foam and expand to fit your ear which allows them to have a NRR of 32dB. You can buy these ear plugs at Amazon. Although we have both Howard Leight ear muffs and stock earplugs sometimes the ear muffs seem to get in the way, and since the stock earplugs do not always stay firmly seated enough to reduce the noise they cannot be worn alone. So, after seeing custom earplug booths at many trade shows over the years, we decided to give them a try. The criteria that we use to evaluate ear plugs are: 1) Hazardous Noise Reduction Rating - NRR, 2) conformity with our ear, 3) comfort over a 3 hour period, and 4) price. 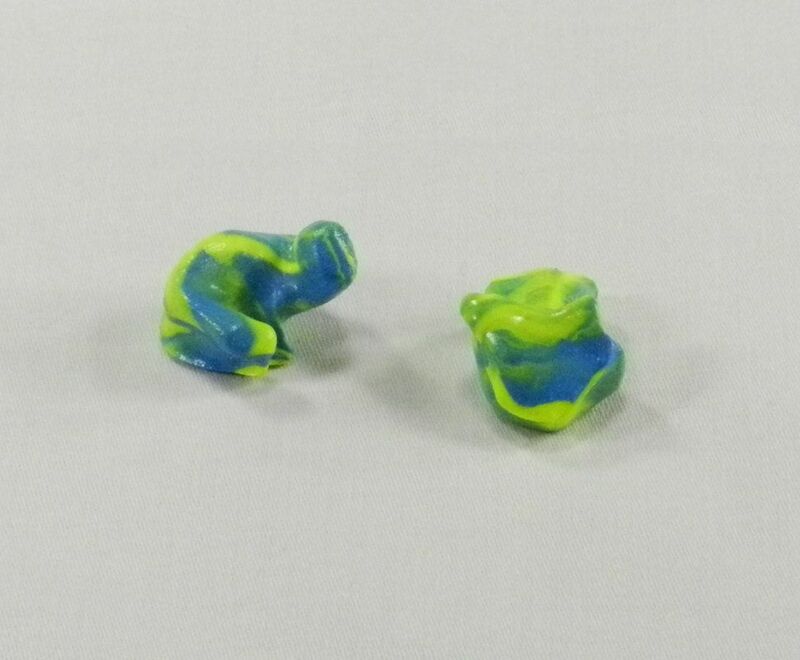 The custom earplugs that we finally purchased are Insta-Mold® Custom Molded ear plugs. These earplugs are custom made by injecting a soft, flexible, hypo-allergenic and non-toxic silicone material into each ear, letting it dry, trimming off any excess pieces of material, and then coating the earplugs with a clear seal silicone coating. The resulting earplugs “lock” into your ears and fit so well that they provide an NRR of ~30dB while being comfortable enough to wear for extended periods of time and protecting your ears from both water and damaging noise. If you want to hear lower volume noises the Instamold earplugs can be connected to a behind the ear hearing aid. You can only buy these earplugs from Insatmold at trade shows since you have to be physically present for them to custom make them. Just like there are noise hazards at the range, there are eye hazards from ejected casings, gunpowder and other flying debris. To protect your eyes you need to have a good pair of Shooting glasses. The criteria that we use to evaluate shooting glasses are: 1) clarity, 2) fit close to the eyes, 3) shatter resistance, 4) comfort, 5) flexibility in different shooting conditions, and 6) price. 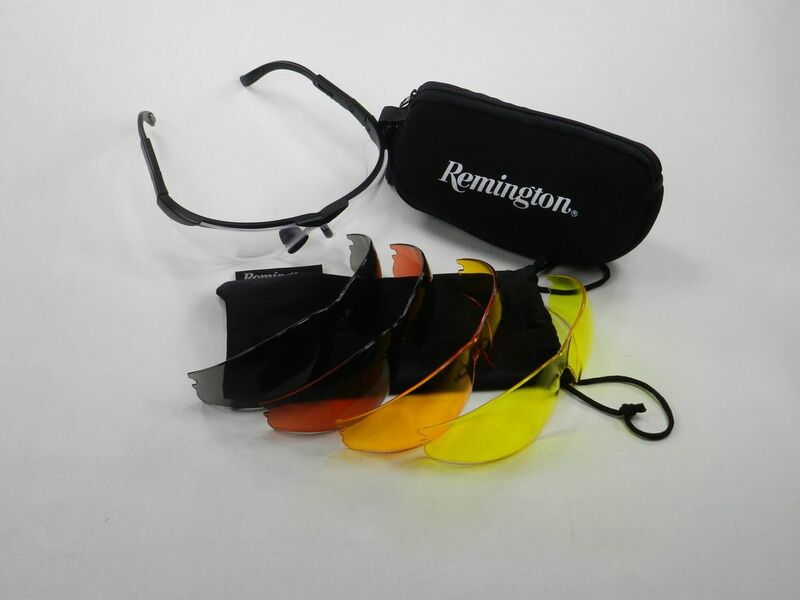 To allow us to wear the same set of glasses in a variety of environments we use Remington T-85 Shooting Glasses Kit with a Black Frame and 5 colored lenses. We like these glasses because the black frame is adjustable - both in length to the ear and angle at the temple. You can then change out the lenses for any one of the five colors (Clear, Smoke, Amber, Orange, Copper) depending on your shooting environment. The entire package also includes a neoprene carrying case, microfiber lens cloth bag and neck cord. You can buy these shooting glasses at Amazon. Of course, with shooting glasses comes fogged glasses when the weather conditions are too humid. The criteria that we use to evaluate anti-fog spray are: 1) does it actually work, 2) was it made for use on dry land instead of underwater, 3) how is it applied, 4) is it messy and 5) price. 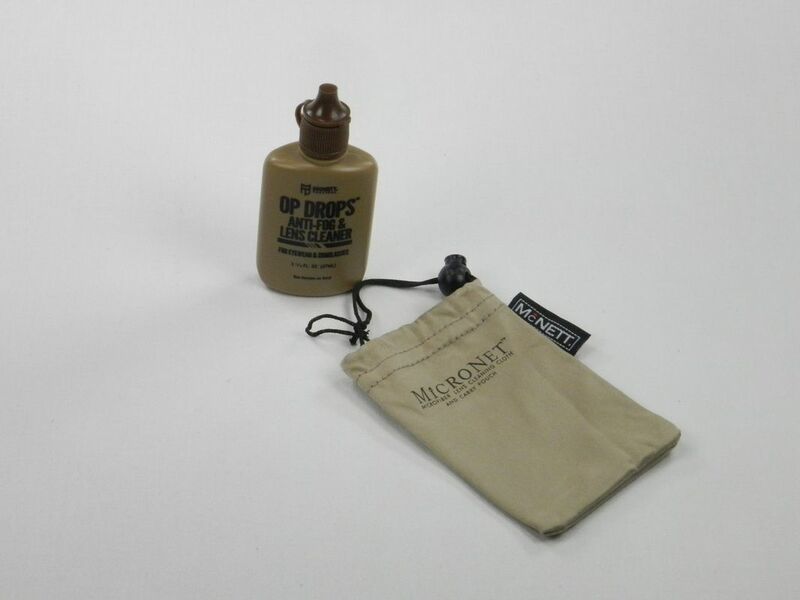 What seems to work the best for us is McNett Tactical OP Drops Optical Cleaning Kit and Anti-Fog. OP Drops is an alcohol-free cleaner that you apply to your lenses and then wipe with the microfiber cleaning cloth (which doubles as a carrying pouch for the bottle of drops). There are approximately 400 Applications in a single 1.25oz bottle. The alcohol-free formula is safe for all lenses and lens coatings - including prescription glasses and sunglasses. You can buy this anti-fog spray at Amazon. Since we chose not to use the OP Drops bag as the cloth that we wipe our lenses with we decided to purchase other microfiber cleaning cloths. 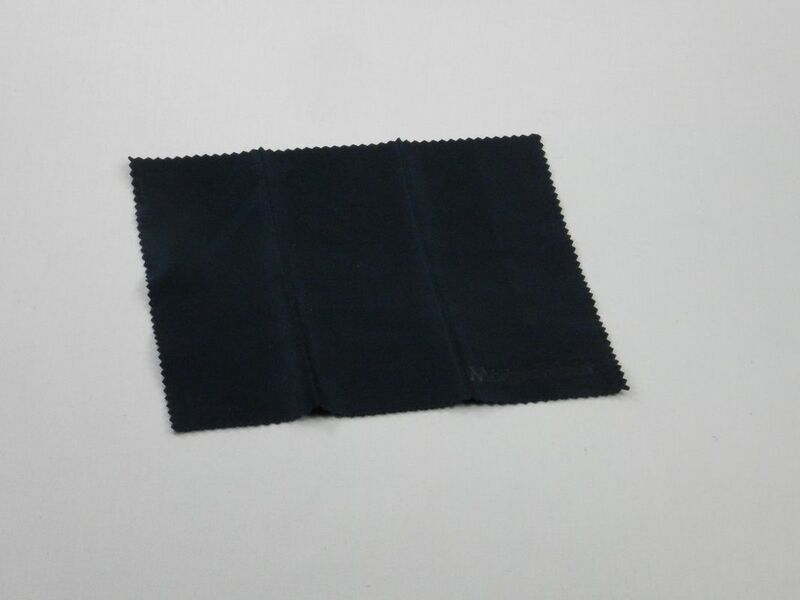 The criteria that we use to evaluate glass cleaning cloths are: 1) is it really microfiber, 2) size, 3) quality and 4) price. The cloths that we like the best are the MagicFiber Microfiber Cleaning Cloths since we can use them for our shooting glasses and other items. These cloths are very gentle and the fine lint free microfiber makes sure than there are no scratches, streaks or marks on our lenses. You can buy these microfiber glass cleaning cloths at Amazon. Let’s face it, not everyone needs a bulletproof vest. In fact most of us don’t. But depending on what activities you participate in at the range, and what other situations you potentially find yourself in, if you need this kind of protection it is invaluable. The criteria that we use to evaluate bulletproof vests are: 1) bullet stopping protection, 2) weight, 3) coverage, 4) fit to your body, 5) bulkiness and 6) price. If you look around there are not that many options to choose from, and balancing the protection versus the cost is the key tradeoff. But that’s not to say that the vests costing over $1,000 are always better. You need to assess what level of protection to need and what you are willing to pay for it. After looking around we purchased what we think is a great bulletproof vest at a really good price; the BulletSafe Vest. This vest provides National Institute of Justice (NIJ - the research, development and evaluation agency of the U.S. Department of Justice) level IIIA (3A) protection (enough protection will stop handgun rounds up to a .44 Magnum - the highest level of protection you will find in soft armor) for $299. 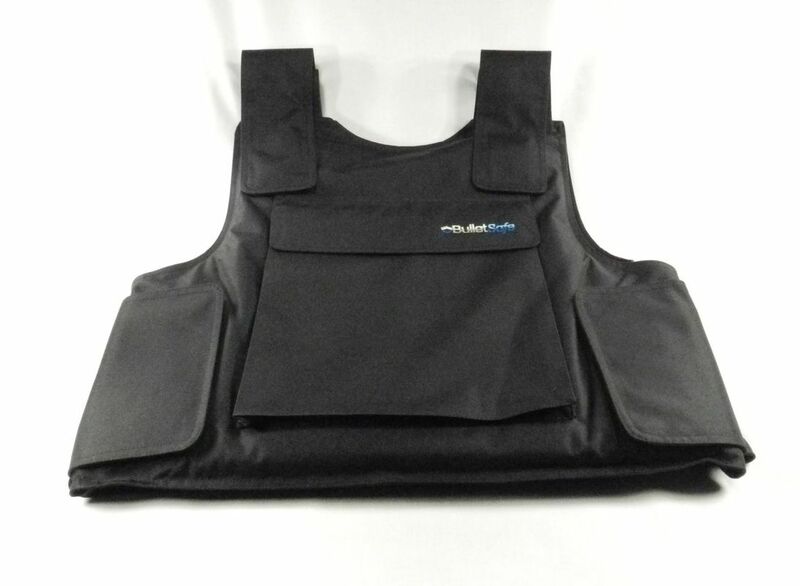 In addition, if you want an even higher level of protection the vest has front and rear pockets for ballistic plates that can be purchased separately and added. As you can see in the photograph the vest has a small logo on the left side. To hide this I just used a black Sharpie marker to color over the branding. You can buy this bulletproof vest at BulletSafe.